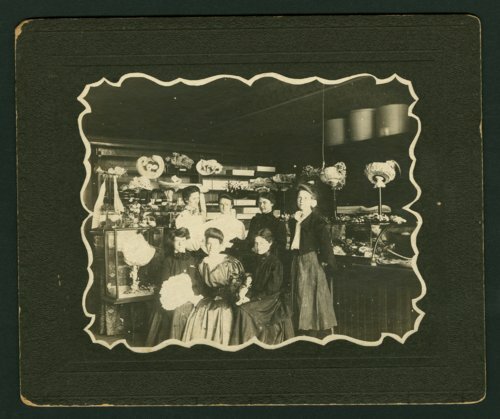 This sepia colored photograph shows a group of women gathered at an unidentified millinery store in Burlingame, Kansas. In the background a variety of hats in different shapes and sizes are visible. The two women in the front and back row to the left could possibly be Nannie Meeter and May Jones of Kansas Memory item number 305263.